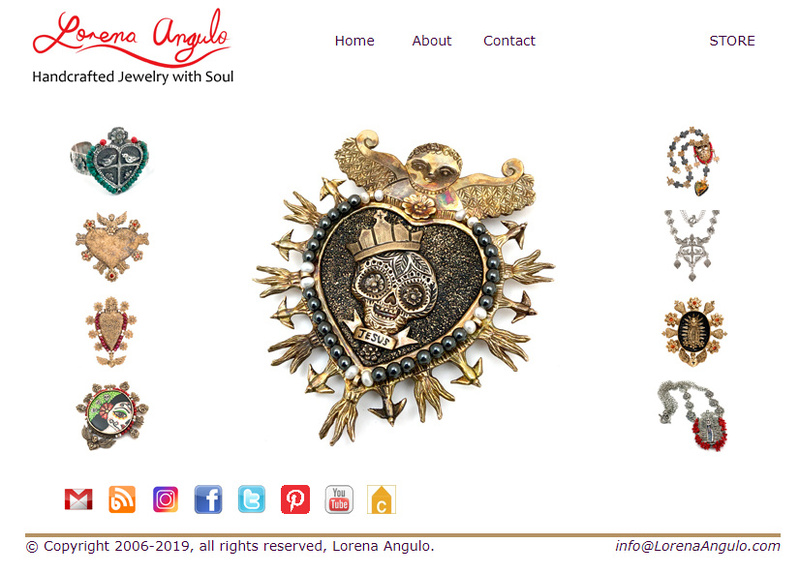 Lorena Angulo: Finally I finish my ring and pendant. 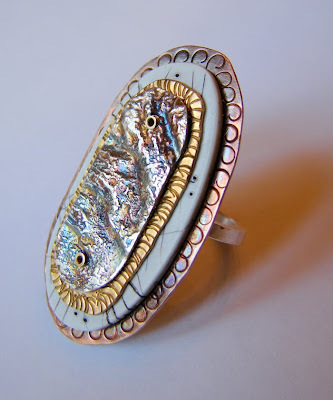 I mentioned I will be posting my final piece with the copper etched and my ring with the reticulation. I finished the copper etched piece and I like it so much that I decided to make earrings for the pendant. 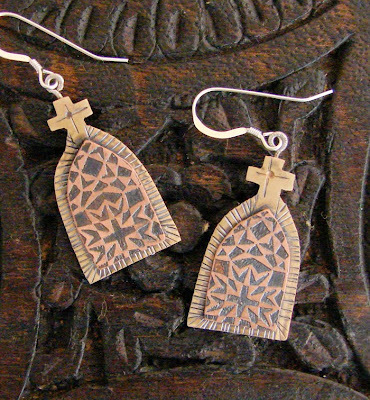 The earrings were not rivet because they are very small and I did not wanted to miss any detail in the copper etched. I soldered the copper to the brass. This is my ring I made using the techniques I learned in my metals class. I have my reticulation in silver all the way on the top of my ring with some LOS to give the reticulation more personality ;-}. 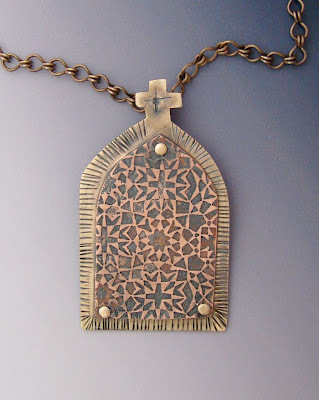 I wanted to play with layers and I used brass, faux bone and my silver to create this piece. The way I attached my layers was my soldering two brass tubes to my first brass layer and then solder that piece to my sterling ring band. Finally I ensemble the layers one by one and riveted the tubes. I enjoyed a lot making this ring and I will be making more in the future ! 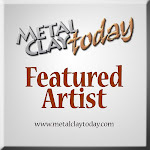 Such creative pieces! Love the depth within each piece.